Kaitlin's still under the weather. She seemed better this morning and wanted to go to school, but I got a call about noon and her fever was back in full force, so home again we went. More snuggling on the couch, orange juice and crackers and she seems to be perking up within the last hour or so...hopefully, we're nearing the end of this bought of illness. I got an email from Pat at Memory Makers Magazine requesting three of my layouts I recently submitted for their upcoming annual Scrapbook Idea Gallery!! It has been awhile since I've gotten a layout picked up, so I'm super excited!! I don't know when it will be coming out yet, but will be sure to let you know. 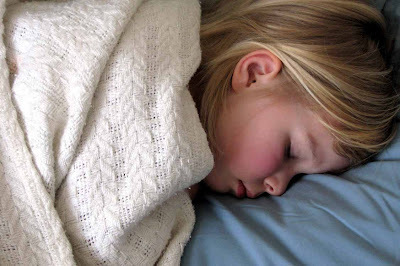 Home from work and school today with a sick little girl...she's been running a pretty good fever all day. This is her...sleeping at 1 p.m. in the afternoon. This girl never naps...yup, she's sick. See those rosy cheeks? Unfortunately, she's not showing signs of significant improvement yet. I gave her a bath tonight and she got polka dots. So, I spent the day trying to do a little work from home, catching up on laundry and attempting to solve our computer issues between requested snuggle sessions. The computer issues are not with my new laptop...I'm LOVING it. The issues are with our old desktop. Obviously, it's issues are a major part of the reason I decided to get a new laptop in the first place, but we're not quite ready to lay it to rest just yet. The first known issue I was having that I can't seen to get the two computers linked in on a network so that my laptop can share the printer. I spent two hours on the phone with Dell on Sunday and still didn't get this resolved. Nothing was working as it should be on the old computer. I gave up on that for the time being and went to copy more of my files to DVD to transfer to my laptop to discover that BOTH of my internal CD drives AND my external DVD drive was GONE! Not registering AT ALL. I did a system restore...no luck. Deleted the drives and rebooted...nope...that didn't work either. So, I spent another two hours on the phone with Dell today to discover that our old computer must be infected with one doozy of a virus. Actually, I've suspected this for quite some time, but...well, just didn't do anything about it. Now, we kind of have to. The plan of action now is to purchase an external hard drive (had been thinking about this anyway for extra photo storage), save everything of value left on the old desktop, give it an complete enema and start fresh. It'll be good...like we just took it out of the box. Right? Right...wish me luck. 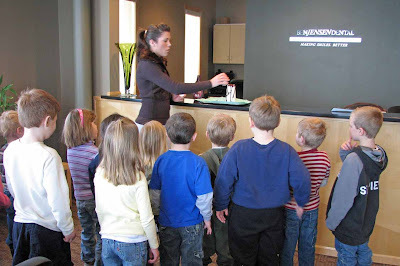 Kaitlin's class really enjoyed their field trip to the dentist's office yesterday. 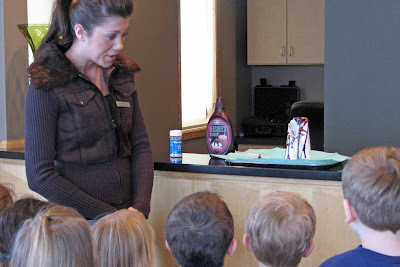 When they first arrived, the gal showed the kids a demonstration. This Styrofoam cup is a healthy, pearly white tooth. This is your tooth after eating too many sugary snacks and drinks (add chocolate syrup and sprinkles). This is what your own saliva will do to your teeth if you eat too many sugary snacks and drinks and/or do not brush your teeth properly. It is somewhat hard to see in the picture, but after squirting some 'saliva' (acetone) onto the 'tooth' (cup), it began to disintegrate. Judging from all exclamations of 'Ewww! ', 'Gross! ', and 'Yucky! ', I would have to say that the demonstration was successful. 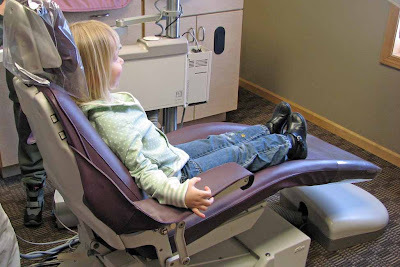 All the kids also got to test out the dentist's chair. 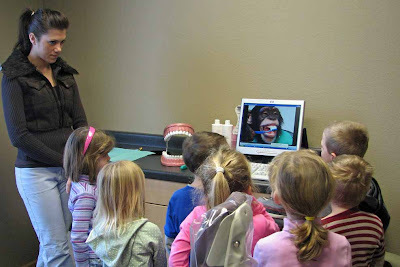 And the best part was when they got to watch a video of a monkey showing them how to properly brush their teeth. While there may not be any layout ideas based on tide tables in The Scrapbooker's Almanac by Elizabeth Dillow , it certainly is one reference book that I'll be consulting repeatedly over the course of the coming year. I was immediatly excited when I first heard about this book simply because of it's unique format which is, of course, divided by month and offers YEARS of ideas based on some well-known as well as some little-known dates on the calendar. The book holds 103 layouts and other projects created by the author herself as well as 5 other contributors: Laura Kurz, Michelle Larsen, Anna Aspnes, Margaret Scarbrough, and Mary MacAskill. The best way that I could think of to give you just a teenie taste of all the scrapbooking inspiration goodness in this book is to share my favorite idea from each month. Some of these ideas are straight from the book (put into my own words) and others I took what to book offered and put my own little spin on it. National Get Organized Month - Who couldn't benefit from a little organization (or reorganization)? I recently reorganized my scrap space and it has already made a difference in my productivity! Don't stop at simply organizing - scrap the organizing process or the end result on a layout to remind yourself why this creative space is so important to you in the first place. Ansel Adams' Birthday - Create a porfolio of your best photographs from one year. Adams said, "Twelve significant photographs in any one year is a good crop." 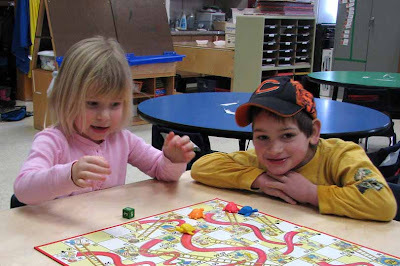 National Teach Children To Save Day - Create a layout based on your child's current perceptions/attitudes towards money. Share the story of how you are trying to shape those attitudes and help your child grow up with a healthy attitude towards the almighty dollar (or whatever your currency might be). Get Caught Reading Month - Create a layout of your favorite books, your child's favorite books, or what reading in general has meant to you in your life. Nature Photography Day - Go out a make a point to photograph nature...then scrap 'em. 1st US Zoo Opening - I have been promising to take my daughter to the Omaha zoo for a couple years now...haven't done it yet. This July is it! Julia Child's Birthday - I am no gourmet, but I do have some favorite 'easy' recipes that are always crowd pleases. I need to make a mini-book highlighting these family favorites. Google's Debut - Create a layout listing every Google search you complete within one day, week, or month. What would your google's say about you? National Book Month - Create bookmarkers as gifts for family and friends. Life Magazine Debut - Create a "Day in the Life" layout following the photography style of Life Magazine. New Year's Eve - Create a layout listing your accomplishments for the year. Remember, I only shared one little prompt from each month...and your favorites might be entirely different from mine, but they'll certainly have you looking at the calendar in a whole new way. WANT TO READ MORE AND/OR PURCHASE? 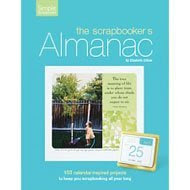 Visit the The Scrapbooker's Almanac by Elizabeth Dillow page on Amazon.com to read other reviewers opinions and find out more about the book. You can also read more of my reviews or visit my aStore for other recommendations. 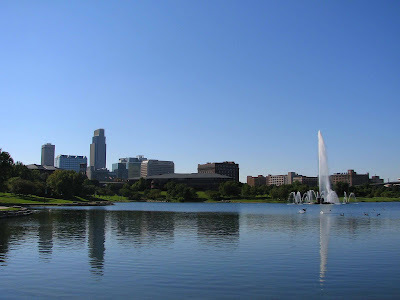 One of the photos that I took in Omaha last summer at Heartland of America Park is being featured in an online Omaha travel guide. The editors found my picture on Flickr and asked if they could use it...pretty cool, huh? There are some other pretty cool pictures of various attractions around the city as well in the guide...you should check it out. Also, remember that sketch contest I entered over at A Peek into Yesterday with this layout? Here's a few that I've been collecting for when I need a little something on a layout for Kaitlin. "Childhood is the most beautiful of all life's seasons." "Listen to the mustn'ts, child. I've been trying to volunteer some time at the school recently, so I helped with game day last Friday and today, too. I remembered my camera today. Kaitlin didn't know that I was coming, so she was pretty excited. 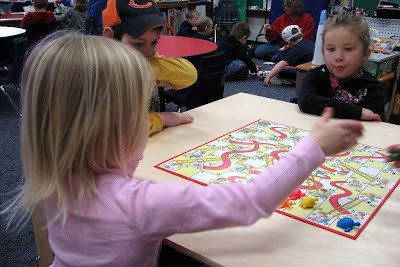 Especially since the kids who have parents helping get to choose what game table they want to play at first. 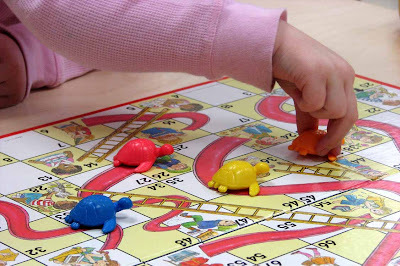 Kaitlin chose Chutes & Ladders, which just happened to be the game that I was in charge of. Kaitlin should be pretty good at this game since she's got two versions of it at home. 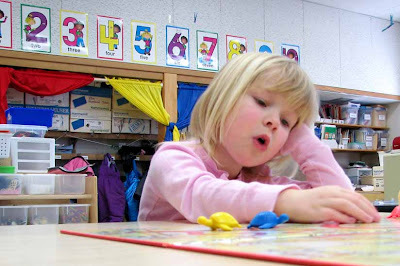 When it was time to switch games, she got to play alphabet bingo with Mrs. Moser, her teacher. while watching AI. That's right...here I am making my first post via my new wireless laptop which arrived today! I am loving it already. I got a Linksys router with Speedbooster and that was the part I was most nervous about being able to get set up and working right. It only took me about an hour and a half to get the setup done and that included a run to Walmart for a surge strip. Not too bad considering I didn't really know what I was doing. The BEST part? The connection on our existing computer (a 7 year old Dell desktop) is faster, too! This will make the hubby very happy as well. I do have some software to install, but that should be simple enough (wait...better find some wood to knock on)...have done that before. I could have gotten it preinstalled, but I got what I wanted MUCH cheaper by buying it separately. I got Microsoft Office Home & Student 2007 because I wanted Word, Excel and PowerPoint. I also upgraded to Photoshop Elements 6 from PSE4. I know I haven't used PSE4 to its full potential because it was always SO SLOW on my old computer and I would just get frustrated with it a lot of the time. I have heard that PSE6 is better and hopefully will run more smoothly on this baby. Well, off to do some more exploring...until next time! The easy way out of taxes? We got our taxes done on Saturday...I won't say to much about the result other than I lost count how many times Justin said, "*=# dammit!" over the course of the day following the appointment. What I do want to tell you about is the conversation we had with Kaitlin earlier in the day in relation to tax time. She heard us talking about having to pay the government and she asked, "How come we have to give the government our money?" "That's a VERY good question, honey!" "Are they going to take my money?" "No, sweetie. They don't take children's money. Only when you grow up and get a job." Without a moments hesitation, she said, "That's why I'm never going to get a job!" Thought I would share a recent layout today. The design of the layout was inspired by one of Becky Fleck's PageMaps and a contest sponsored by A Peek into Yesterday. What do you think? I have been wanting to scrap these pictures from our trip to the orchard at Garrity's Prairie Gardens last fall for quite some time now. The sketch was perfect and really helped me put this layout together quite quickly...plus I got to play with my new circle punches - which I am LOVING, by the way! I don't use sketches too often when scrapping, but I do love Becky's PageMaps!! It was a gorgeous day when we visited the apple orchard at Garrity’s Prairie Gardens this year. You would have never guessed that it was early October…. We were definitely experiencing a little Indian summer that day. Kaitlin had a wonderful time searching for apples and showing her daddy around the orchard since (it was the first time he had been there with us). The glitter on the paper and chipboard elements as well as the band of circles add to the sense of whimsy captured in the pictures. The chipboard parentheses call attention to the small subjects in the second photo. There was a magician at the College last night, so I decided to take Kaitlin as a little Valentine's Day treat. She has never been to see a magic show before, so she was quite excited about the whole affair. It started a little late as it was based on college student schedules, not five-year-olds, but she was determined to stay awake so that we could go. I thought about taking my camera...then didn't...and about 5 minutes into the act realized that this was big mistake (another reason I need to get a good pocket camera). What does every magician need? Volunteers! And Kaitlin was quick to the draw. So, Kaitlin goes up on stage to participate in one of the very first tricks with one of our students whom I'll call 'John'. The magician had a paddle of sorts with a bag attached and he placed a green hankerchief into the bag. He then asked John to reach in the bag and pull out the hankerchief. John reached in, looked, and found nothing. The magician passed the bag over to Kaitlin and she immediately reached in and pulled out the green hankerchief...she was quite pleased with herself. The magician asked her to put the hankerchief back in the bag and turned it back over to John who, again, couldn't find the hankerchief. Back to Kaitlin...and, of course, out came the hankerchief. The magician said, "Boy, John...this isn't looking too good for your college career if Kaitlin here, a five-year-old, can find the hankerchief and you can't." "Falling in love consists merely in uncorking the imagination and bottling the common-sense." 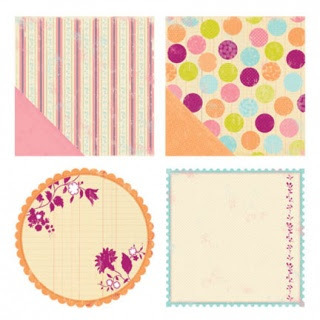 Definitely one of the largest collection of layouts I've ever seen, 601 Great Scrapbook Ideas by Memory Makers doesn't disappoint in the area of eye-candy!! It's not too hard to guess how many layouts are featured in this book, but an even bigger asset to this book is the fact that there were nearly 200 contributing artists! I was certainly very happy when I saw that several of my favorites, such as Susan Weinroth, Greta Hammond, Kay Rogers, and Hillary Heidelberg had creations included. 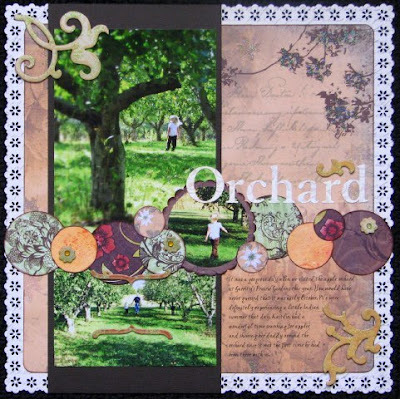 I also found a new favorite in Michelle Coleman whose digatal creations are just amazing! I am not a digital scrapper scrapper, but still get much inspiration for digital scrappers like Michelle. I was also excited to see a fellow South Dakotan with a beautiful layout featured in the book - Mary Palmer Chapman from Watertown, SD. 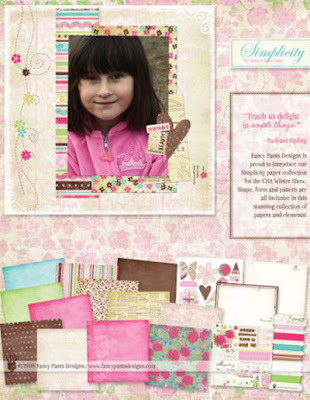 Another great thing about this idea book is that through the sheer number of layouts it includes pretty much every scrap style out there and at a variety of levels - from the beginning scrapbooker to the expert. The are one photo layouts and multi-photo layouts. There are one page layouts and 2-page spreads. There are 8 1/2 x 11's and 12 x 12's. 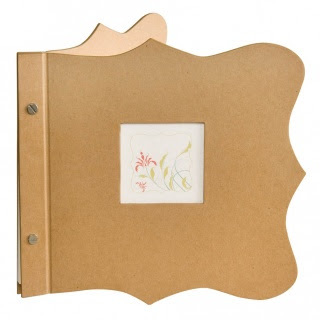 So, in essence, there is something for every scrapbooker in this book. About the only limitations that I found in this book are that the chapters did seem to somewhat focus the types of layouts included in the book a little too tightly. For example, if you looking for ideas on pet layouts, you won't find them in this book. In addition, the book is strictly layouts. If your looking for specific ideas for mini-books, cards, altered art or any other ways in which to create with your scrapping products or photos, you won't find that here either. Also, as I said in the intro, this is pure eye-candy and that can be both good and not-so-good. There is definitely not much in the way of editorial content in this book (in other words - not much to read). There are short blurbs every couple of pages or so to point out a special technique or idea, but that's about it. All that considered, this book is still really a great source for scrapbooking ideas (just like the title says)! I am always curious and open to hearing the opinions of others. If you own or have read this book, please feel free to share your opinion of it in the comments below. 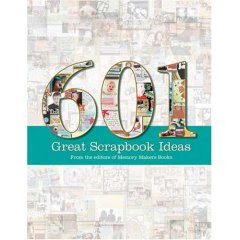 Visit the 601 Great Scrapbook Ideas page on Amazon.com to read other reviewers opinions and find out more about the book. You can also read more of my reviews or visit my aStore for other recommendations. It's been snowing and blowing since about Noon today and with the temperature teetering right around the 0 degree mark, it's just not very nice. There is continued snow forcasted through 6 a.m. tomorrow morning. Hmmm...snow day?? If only I should be so lucky! Neither the College nor the local school district here is known for doling out snow days easily. Anyway, we've been really busy despite the cold. I got back from my conference late Friday afternoon and barely got to spend any time with Kaitlin before I had to wisk her off to play practice. There's less than a month to go before opening night so practices are really starting to pick up. She had practice Friday, Saturday, Sunday and again tonight...and they're all 3-4 hours long. Kaitlin (shortly after waking up): "Mom, do I have practice today?" And nearly every half hour or so for the rest of the day until practice starts (usually around 4 p.m.) she will say, "Mom...remember I have practice today." or "Is it time to go to practice yet?". On Saturday, I spent a good portion of the day finalizing my laptop research...and I finally made the purchase!! Whoohoo! I have been wanting to do this for a long time and finially have enough saved up to comfortably make the purchase. 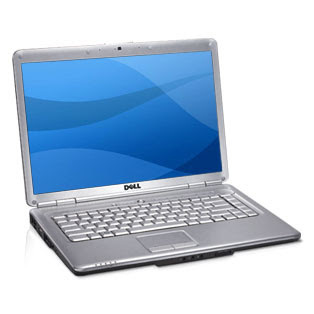 After much deliberation (part of me REALLY wanted to get a mac), I finally decided to go with a Dell. Our desktop is a Dell and I have to say that she's been good to me...despite getting unbearably slow in her old age (8 years...I know, amazing she's even still running). And I'm sure the facts that she wasn't really built for what I use her for today and she's holding thousands and thousands of digital photos taken in the last few years doesn't help either. So, I was sure to build my new one to handle it...more memory...a bigger, faster hard drive...I am soooo excited. Once it arrives, I'll clean some of my stuff off our desktop and give her a break...which will hopefully help her speed back up again a little. Then Justin and I won't have to fight over who gets to use the computer anymore either...another bonus! Sunday was a scrapping day...got THREE layouts done. I'm up to October of last year now. I'm closing in...slowly but surely. 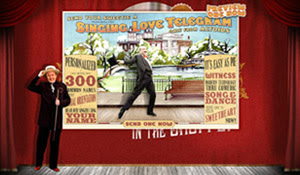 Send a singing love telegram...from Altoids? You just never know where you're going to find fun stuff on the web! Here's a good one if you're looking for something silly to send your honey on Valentine's Day. What would be your "You know you're a scrapbooker when..." moment/event?? for a conference for the next couple of days and missing my little monkey already tonight. When I was packing my bag last night, Kaitlin brought in one of her little stuffed animals - a little blue bunny - and put it in my suitcase. "Here Mommy...sleep with my blue bunny while you are gone 'cause I know you're gonna miss me." Awww...how right you are little one. And when I dropped her off at school this morning and told her to be good and keep Daddy out of trouble (she's pretty good at this actually), she said, "Remember the bunny, Mommy." Anyway, the town my conference happens to be in is the same town where my little brother goes to college, so I gave him a call on the way up and invited him out to dinner. 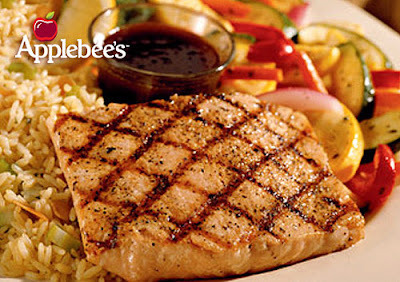 Honey Grilled Salmon...that was the first time I've ever had salmon and I really like it...will be eating more of that, I think. Mmmmm. I don't get to spend too much time with my little brother these days, so it was nice to catch up. He filled me in on his job, school and his unending pursuit of girls...oh, brother! :-) He always knows how to make me laugh. As it is in most college towns, Thursday night is bar night and he wants me to go out with him and his friends tomorrow night...I don't know about that...I'm pretty sure I couldn't have kept up with him even when I was his age! Was it me who said I hadn't seen much to get excited about yet in the sneak peaks for the CHA winter 2008 show other than Karen Russell's new additions? Hmmm...I think I might have spoken too soon! I can always count on Fancy Pants to come up with something I'll love and this time the Simplicity collection fits the bill. Making Memories also has some super cute additions to one of my new favorite lines - Noteworthy. 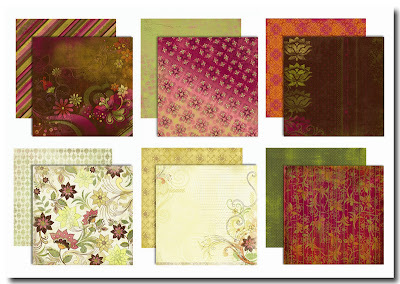 Here's some beautiful new papers from Prima. 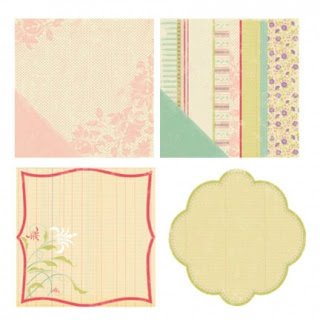 Here's some gorgeous looking papers from a NEW company called Pink Paislee with two debut collections - Spring Fling & Office Lingo. Ali Edwards has been a great inspiration to me this past year. She recently started a project on her blog called Weekend Creative and her assignment this week seemed like a lot of fun. So, here's my little & big list for 2007 and following her lead, there is one item for each year of my age. 1. Was greatly inspired by Ali Edwards! 3. Learned how to spot color in Photoshop. 4. Attended my first parent-teacher conference. 5. 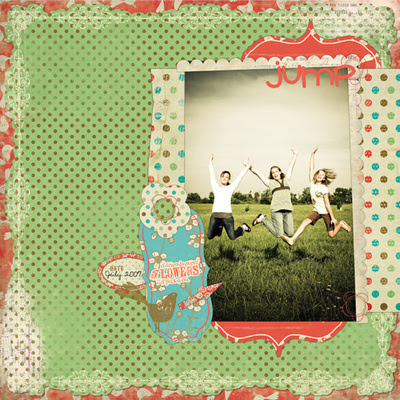 Had scrapbook layouts published for the 1st time - three by Memory Makers magazine, 1 by Simple Scrapbooks. 6. Revisited the Tulip Festival with my 5-year-old daughter. I was 5 years old the last time I was there. 7. Went on a horse drawn trolley ride. 8. Watched my daughter graduate from preschool. 9. Observed the power of a tornado...a little too close to home. 10. Visited Ponca State Park. 11. 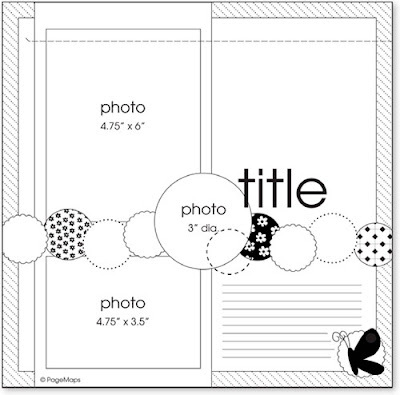 Had a layout featured in Becky Fleck's PageMaps Newsletter. 12. Lead my team, Company E, to the #1 spot during YBA week!! 13. I got a promotion - Assistant Director of Admissions. 14. Took some fireworks shots that I really love. 15. Attended my first concert in about 10 years. 18. Made 243 blog posts (compared to 11 in 2006). 19. After having visited the Old Market in Omaha many times, finally took pictures there. 20. Caught a rainbow...sort of. 22. Stayed on the 17th floor of the Hilton in downtown Minneapolis. 23. Watched a jousting competition at the Minnesota Renaissance Festival. 24. Enjoyed my daughter's first season of soccer. 25. Convinced my daughter that she should be a little 'witchy' for Halloween. 26. Visited an airspace museum. 27. Visited a wildlife preserve. 28. Helped about 45 students continue or begin their college education. 30. Was proud of my daughter's confindance. 31. 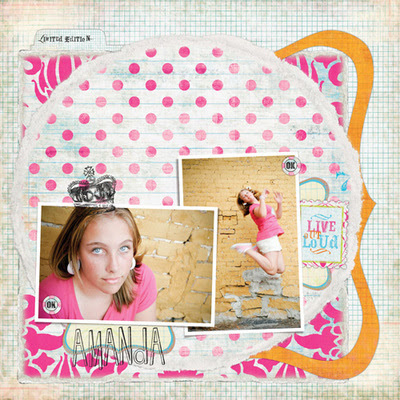 Posted 17 reviews on various photography and scrapbooking idea books.